Karen is the EA Sports Accessibility Lead, pushing to improve the user experience of those with interactive differences. 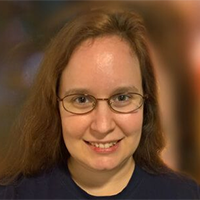 She has been in the game industry for over 13 years and has first-hand experience of what it's like living with disabilities. She has spoken at several conferences on the topic, and has been featured in magazines, television programs, and radio shows.